Tameside and the Surrounding Areas. 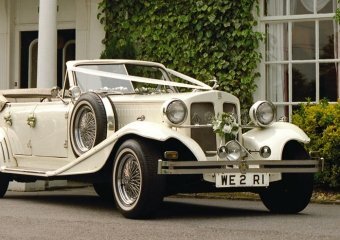 For wedding car hire in Cheshire, look no further, at Horgans Wedding Cars we provide a range of wedding car services across Cheshire, Manchester, Tameside and the surrounding areas. 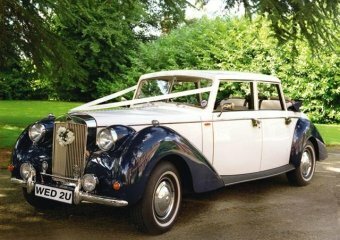 From classic wedding cars in Cheshire to vintage and luxury vehicles, when you choose Horgans we’ll guarantee a top quality service. We’re professional and efficient as well as having access to a fleet of the most exquisite vehicles, we have all of your wedding cars and luxury car hire needs in Cheshire covered. 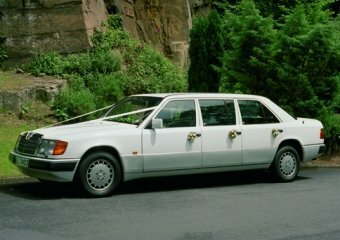 Each customer is unique therefore each wedding car service we offer is also, we understand that your big day or special occasion will be a moment you want to remember forever, which is why we provide an unforgettable service. For more information, contact our team today, we’ll be more than happy to answer any questions you may have. 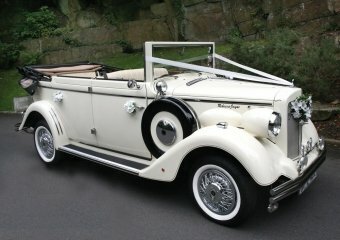 To view our luxurious wedding cars, see our collection below. 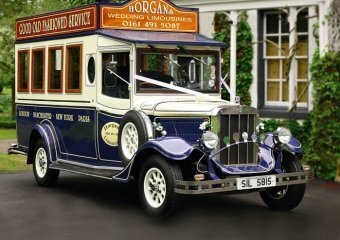 From the award winning Beauford, to the Royale Regent and Imperial Wedding Cars or our popular Charabanc eight-seater omnibus, which has been specially created for the wedding industry. 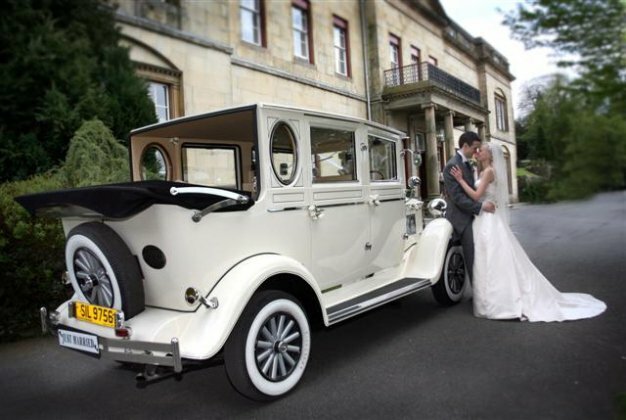 Our four door long bodied wedding vehicles are much sought after as exceptionally individual wedding carriages, whilst being driven around by our professional chauffeurs wearing their distinctive and smart 1930’s style of period uniforms. 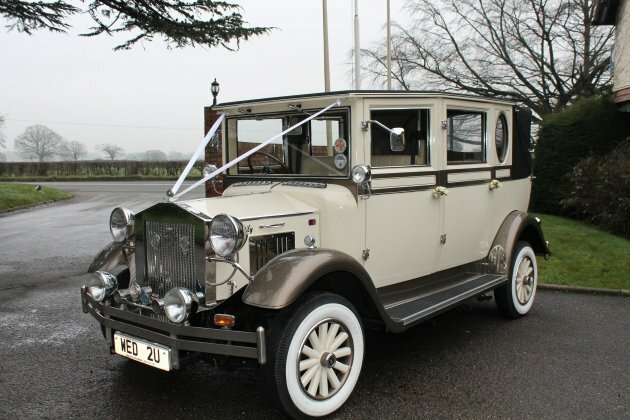 At Horgans Wedding Cars we’re equipped with some of the finest cars which we have available for wedding hire in Cheshire, this includes modern, classic and vintage cars for hire. The vehicles we have available are themselves, works of art and have been used in televisions shows and various promotions. So, when it comes to wedding cars in Cheshire, Manchester and the surrounding areas, we’ll make sure you travel in style on your big day. Take a look at the range of wedding cars we have available, you’re sure to find exactly what you’re looking for. (Thanks to the professional team at “Horgans”) We wish to thank the hundreds of customers who voted for us thus enabling us to win this prestigious award for an incredible Eighth Year running within our chosen industry, whilst we would also like to thank everyone who has taken the time to send us cards of congratulation since winning. “From all the team at Horgans we send you a heartfelt thank you! Should you require special cars in Cheshire, Manchester, Tameside or the surrounding areas, Horgans Wedding cars should be your first port of call. 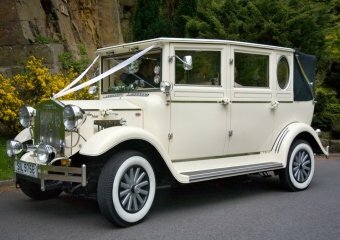 Having been established for a number of years, we’re known for our excellent reputation in wedding car hire. From our 1930s style Beauford Tourer Four Seater, Regent Tourer Six Seater and Royale Windsor vehicles, as well as our stunning new Imperial Seven Seat Landaulette. We also don’t charge for extra time or mileage in our services and you can trust your day or even will be special as our vehicles will only attend one wedding or occasion. 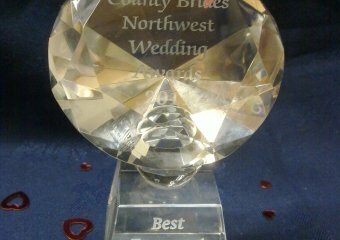 We felt that we received terrific value for money, and we will definitely be recommending you to anyone we know who is getting married, feel free to show this endorsement of your business to anyone thanks again. Dear Tony and the gang, just wanted to say thank you for your wonderful service before, during and after our wedding day back in July and a special thanks to our two drivers who helped make our day so special with all their help, jokes and encouragement. Unfortunately due to nerves and too much pre-wedding vodka we’ve forgotten their names but please pass on our thanks, we would definitely recommend Horgans to anybody. Out of all the providers we used for our wedding Horgans were by no doubt the best! The actual place where they explain about the vehicles is lovely, they invite you to sit in the car while they explain every aspect of your day. I even got some free gifts which I still have now! A Month before the wedding you confirm all the details which is reassuring and I got to meet my driver. On the day itself they were early and did as many trips as we needed, the driver (sorry I can’t remember your name, Colin I think?) was fantastic and went out of his way to take us to the park for photos, the bucks fizz we had went down a treat and it was lovely for my husband and I to have our first moments as bride and groom in such a special car. I couldn’t fault any aspect of your service you are 100% professional and as an events coordinator myself I will be recommending you to all my brides!!!! Thank You. We just wanted to thank you all for your help in making our wedding at Davenport Green Hall on the 12th Aug the best day of our lives. The car was perfect, as expected, and your driver John (please forgive me if I’ve got his name wrong!) was so polite and professional. I complimented and thanked him on the day but he was so great when my dad and I were heading to the ceremony as we were both very nervous and he made conversation with us which distracted us both and kept us calm! What more can a girl ask for. Thank you for helping everything run to schedule. Originally we wasn’t planning on booking a car for the wedding as the venue and the church are quite close together. What swung it for us was the quality of your cars and the professionalism of your drivers that we met at the Village Hotel in Ashton Under Lyne. So again, thank you for making it a stress free experience and we won’t hesitate to recommend you to anyone and everyone that is planning their wedding. Dave and I want to say the biggest thank you ever to your company for your impeccable service at our wedding. Our driver Kris was simply outstanding. We had a great chat with him and nothing was a problem to do. Your service made our wedding day and we could not be happier. All the very best. Please send our best to Kris.